The Shake Up Your Wake Up campaign includes an annual Breakfast Week celebration, championing the importance of breakfast. This year Breakfast Week runs from Sunday 24th January to Saturday 30th January. Although we've got our doors closed at the moment as we wait for the arrival of our first daughter, the development kitchen is in full flight so we thought we would share some of our new breakfast specials and old favourites with you. We are kicking off with two vegan breakfast dishes but dont be put off by that. These are beautifully colourful, light and super nutritious dishes that will put a spring in your step even on the coldest winter morning. Our superfruit bircher muesli is made with almond milk, agave syrup, vanilla apricot compote, goji berries, cranberries, blueberries, sweet & sour cherries and garnished with toasted coconut and almond flakes. Take a slice of our freshly baked Sourdough bread, drizzle with olive oil and griddle. Add a layer of avocado, some garlic fried mushrooms and baby leaf spinach, sprinkle toasted sesame and nigella seeds and dress with a light tahini dressing. Served alongside slow roasted chilli cherry tomatoes. What could be more basic than toast and marmalade? Nothing, but when both of those components are lovingly home made then it can also be one of the most exciting breakfasts you can imagine. We bake our own sourdough and levain breads daily. Each loaf takes 24-36 hours to mix, ferment, shape, prove and bake. There are only four ingredients in our bread. Flour, water, salt & yeast. We think it makes the best toast imaginable. We try and use local ingredients whenever possible. But there are some exceptions. January sees the appearance of the first bitter Seville oranges and its time for Lexi to go into full on marmalade production. 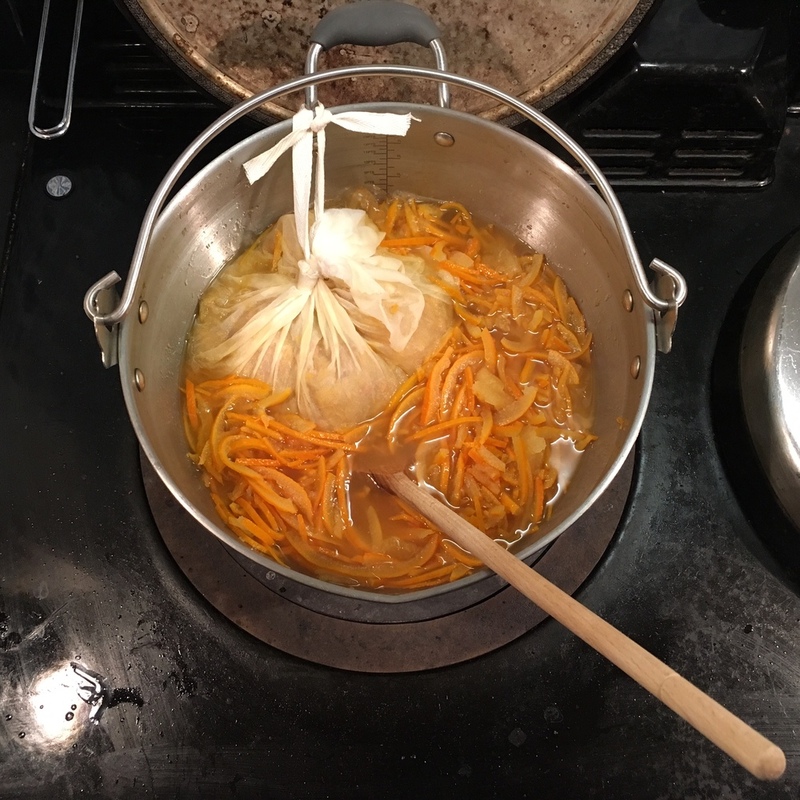 Lexi's classic Seville Orange marmalade in process. She'll be cooking up a veritable storm of marmalade all week and trialling some new and exciting flavours as well.